Star Power is a constant at this festival located on Florida's southwest coast. Annually, the festival brings in top talent from California and New York to screen their latest projects. The festival offers intimate sessions with the filmmakers in discussions and panels. Audiences are able to ask questions and get insight into their favorite movie makers' process. This year, the Sarasota Film Festival will bring actor, director Eric Stoltz and his coming of age comedy CLASS RANK as the opening film. Oscar nominated documentary filmmaker Rory Kennedy will attend with her film ABOVE AND BEYOND: NASA'S JOURNEY INTO TOMORROW which will close the festival. Closing weekend will also bring Steve Guttenberg and Virginia Madsen who will be honored for their career of work. 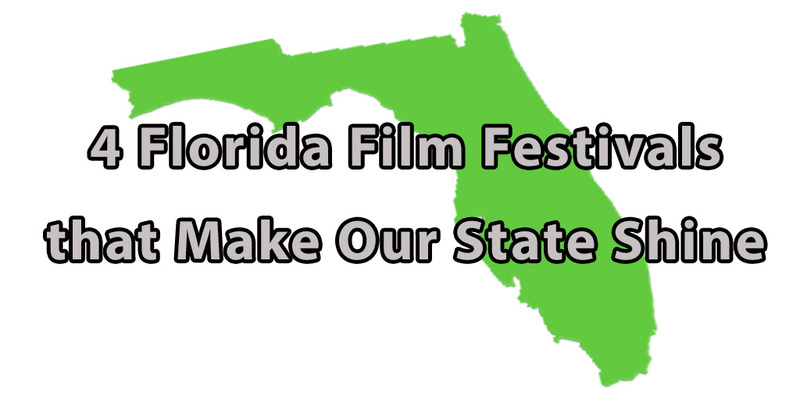 The film festival celebrates 20 years and will run April 13-22, 2018.
International programming is what makes this festival a stand out in the state. Each year, the festival introduces audiences to Iberian culture as well as filmmakers from around the globe. Presented by Miami Dade College, the campus and surrounding community are immersed in foreign as well as Florida filmmakers, panel discussions, parties, and outdoor venues to capture the essence of Miami and its creative scene. Ran March 9-18, 2018. We dubbed this The Film Festival That Could after it nearly stalled without a home venue in 2015, but kept itself climbing. An IndieGoGo campaign kept it's hopes alive. That year and since, they've had stars such as Sean Astin and Rita Moreno. This year's festival ran March 20-25, 2018. Founded by, run by, and supports local filmmakers. This festival was started by a lawyer (Kurt Bauerle) and marketing pro (Brett Jaffee) who teamed up to make a short film (Stuck) in the early 2000's. It is run by Dan Springen, a longtime local filmmaker and they continually screen local films. Festival runs October 18-25, 2018.